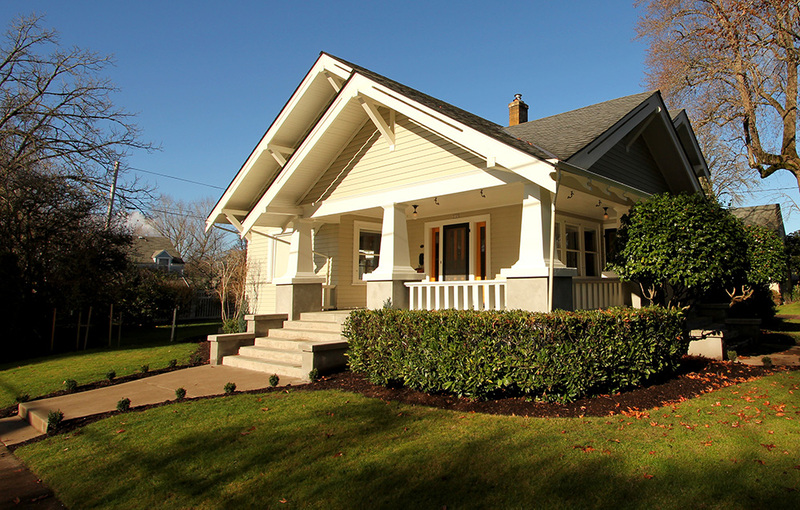 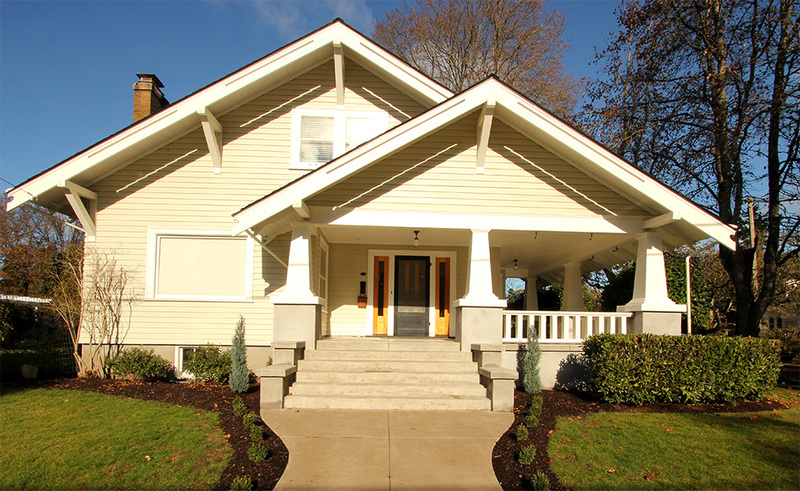 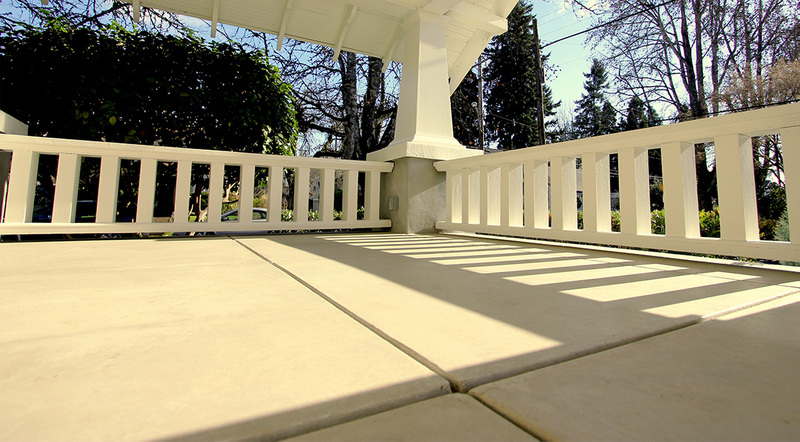 Time and Oregon weather had taken its toll on the home, so Deb hired us to restore her porch. 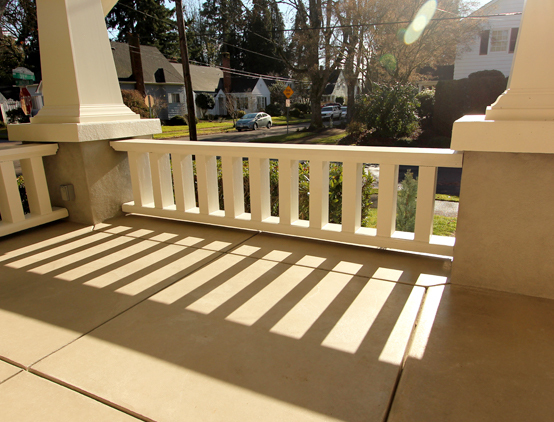 We replaced the rot in the columns, the concrete work, the steps and walkways and reinforced the home for earthquakes. 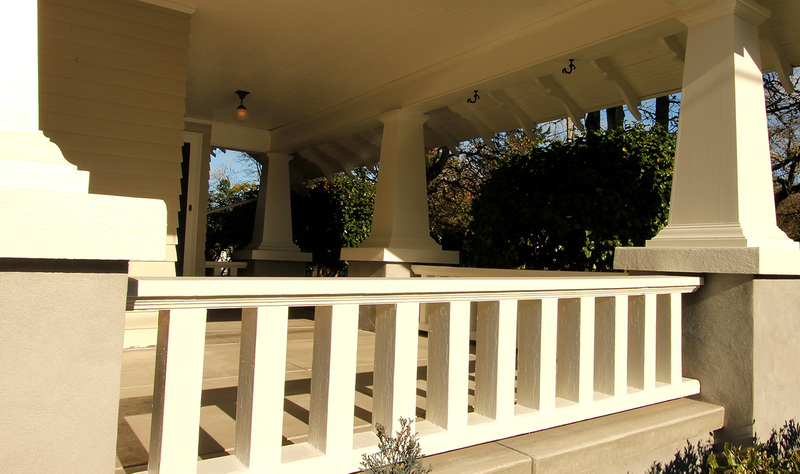 Keeping with the period of the house and surrounding historic neighborhood, we re-built the wrap around porch anyone would enjoy a cup of coffee on. 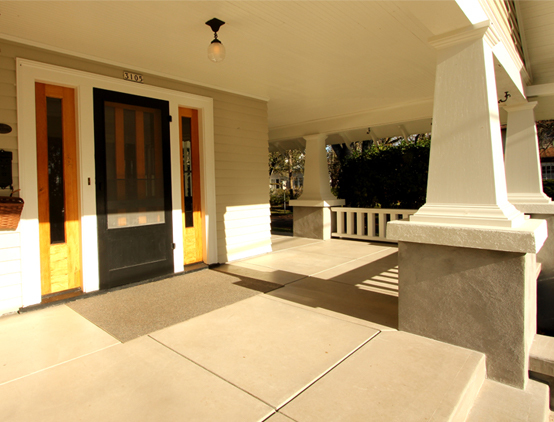 We worked with Deb Kadas, Designer, to create mockup samples of the various possible finishes for concrete work and she selected this burnished flat trowel finish to recreate the historic texture of the original porch. 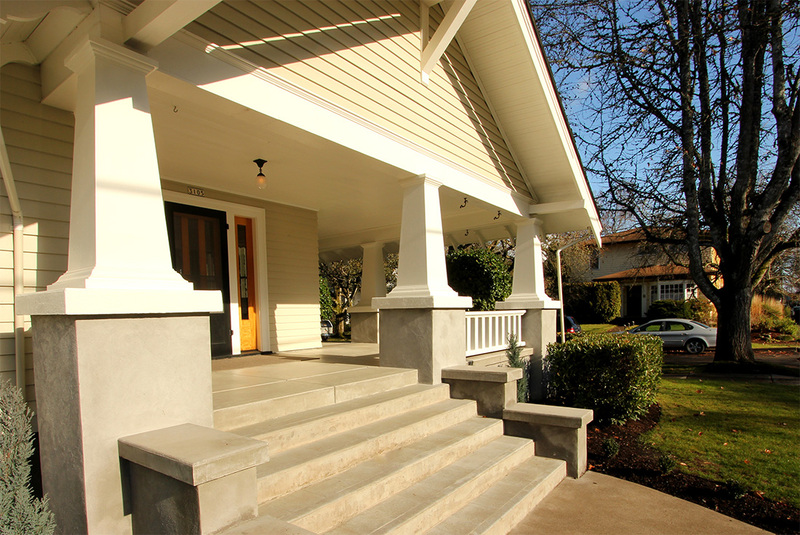 We also poured both steps and wall caps to match the finish of the original porch.